In a poll by deVere Group, nearly half of U.S. expats said they'd vote for a presidential candidate who promised to repeal FATCA. The five-year-old Foreign Account Tax Compliance Act is coming under fire, with a number of Americans living abroad calling for its repeal. Signed into U.S. law on July 1, 2010, FATCA seeks to ensure that Americans living overseas pay their fair share of U.S. taxes, but critics and expatriates argue FATCA is a compliance headache that often makes it difficult for Americans living abroad to maintain legitimate bank accounts — and curbs banks’ willingness to serve expats. FATCA took effect in July 2014 after several delays. A new global poll by deVere Group, a financial consultancy that serves expat clients, polled 370 American clients living and/or working outside the U.S. and found that 48% would support a presidential candidate that would seek to repeal FATCA. 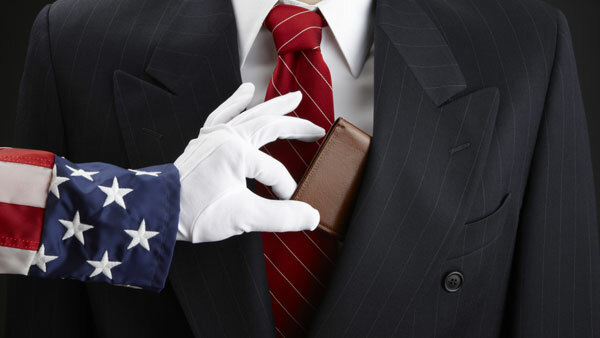 Forty-eight percent “is an enormously high percentage of people who say they would vote for a presidential candidate who publicly vowed to seek FATCA’s repeal,” said Nigel Green, deVere’s president and CEO, in a statement. “FATCA is a huge, costly and burdensome imposition on ordinary Americans who happen to live and/or work outside the U.S.” Green said. “In addition, due to the onerous and expensive impact of FATCA, many non-U.S. financial institutions, such as banks in other countries, now no longer work with Americans – even if they have been clients for decades. Clearly this makes life extremely challenging for the estimated 7.6 million U.S. citizens” living abroad. As it stands now, more than 80 countries have signed so-called “intergovernmental” FATCA agreements with the U.S. government, with some 77,000 Foreign Financial Institutions (FFIs) signing up with the Internal Revenue Service, deVere says. deVere Group, with $10 billion under advisement, provides global financial solutions to international, local mass affluent, and high-net-worth clients in 70 offices worldwide. Green says that FATCA is “paving the way” for the Global Account Tax Compliance Act, a FATCA “on steroids,” which, for Americans, would violate the Fourth Amendment. GATCA is being proposed by the Organization for Economic Cooperation and Development (OECD), which is based in France and is the de facto world tax authority. OECD is proposing that accounts opened by foreign nationals be routinely reported to that individual’s homeland tax authorities, which could involve nearly 65 countries, deVere says. DeVere’s poll comes at the same time American Citizens Abroad Global Foundation (ACAGF), a section 501(c)(3) charitable organization that supports education and research on issues affecting Americans abroad, has teamed up with faculty at the University of Nevada, Reno’s College of Business, to study FATCA’s impact on American citizens living abroad. While FATCA’s “intent of reducing or eliminating tax evasion is almost universally supported, many feel the law increases the compliance burden on many taxpayers and institutions,” the two groups stated in a release.